This week LittleMan surprised us by asking to study cats. I did a bit of looking around online but most everything I could find in the way of printables either felt “too young” for him, like this preschool pack [click here] or “too old” for him, like this lapbook [click here]. They are lovely resources for children, which is why I’ve linked them for my readers, but not quite what we needed. So I experimented with making our own printables. And now, in case someone else might find them useful, I’m sharing them for free with all of you. Keep in mind these are my first attempt at making printables so there is room for improvement, but they seem to be working well enough for LittleMan. If you’re interested in downloading any of these, be sure to click on the text above the picture, not the actual picture. 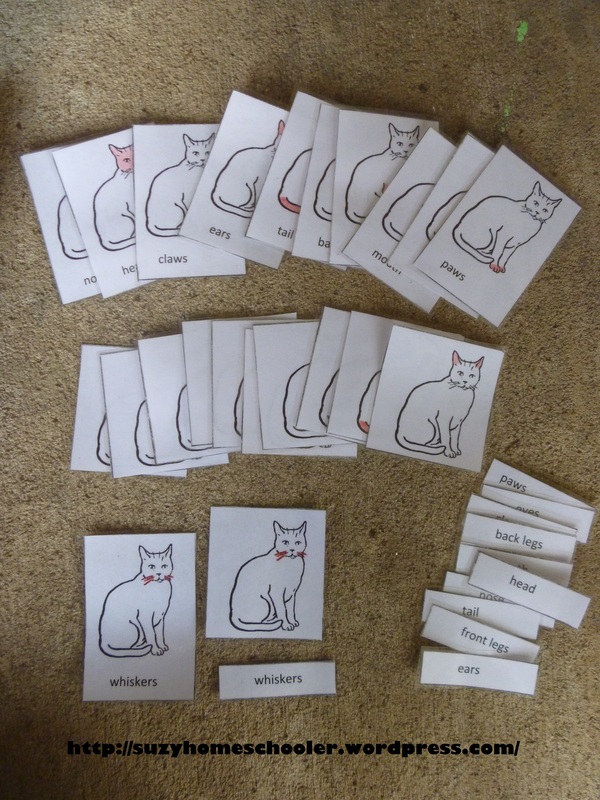 6 cards with pictures of wild felines, 6 much smaller copies of the same pictures. Cut them out and let your child use a magnifying glass to match the smaller pictures to cards. If you happen to use one of these, please come back and tell us about your experience. 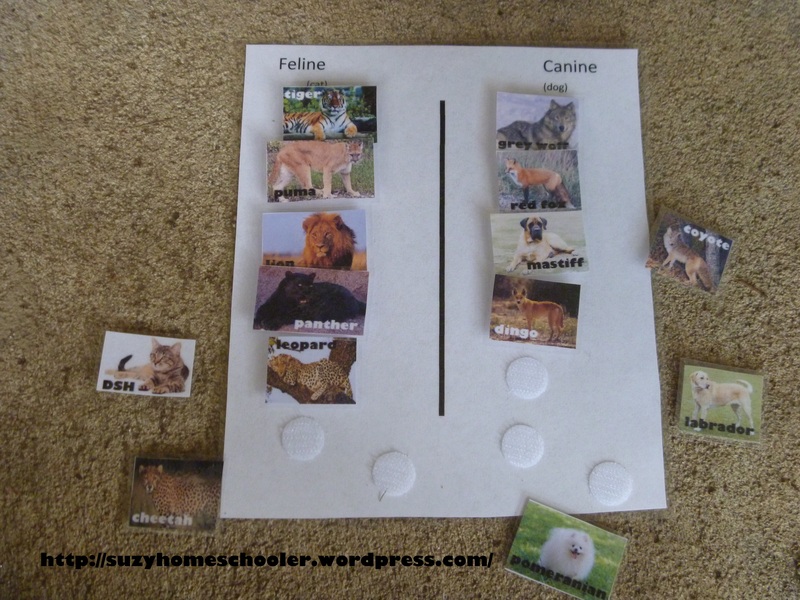 Found your link at Homeschool Creations…Such great activities. I will add these to my list of ideas for when we revisit Letter C. Thanks for sharing! Thanks for these printables. We’re starting our first year of homeschooling next fall, so I’ve been gathering my resources and deciding on my themes for each week. I’ll be using a few of these for my “L is for lion” week. 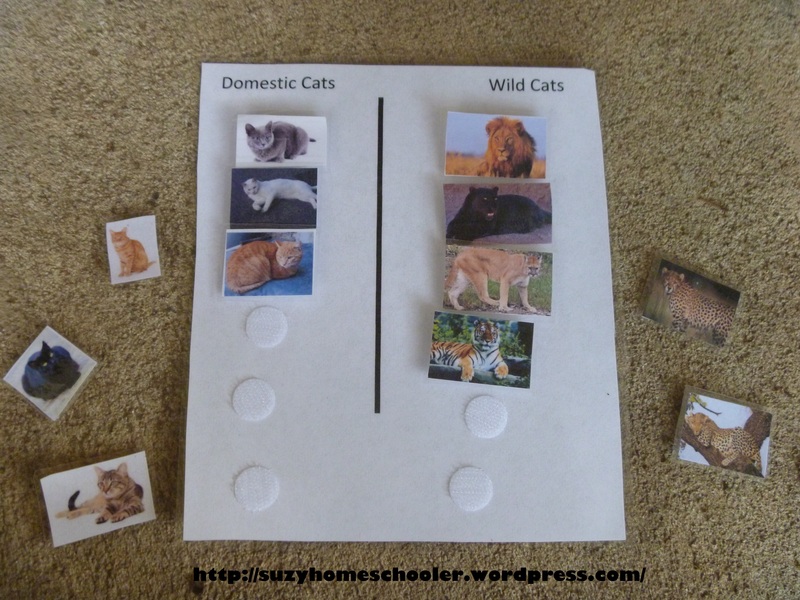 We have a domestic cat that looks a bit like a lion so I was happy to find your “domestic vs wild” sort as one of our lessons will be talking about the differences between the different kind of cats. Thanks again. I’ve pinned your website so I can link back to you when I post about our homeschooling on my blog. Wish we could also print a cat (or whatever) that has no coloring on it. My kids love to make a book.